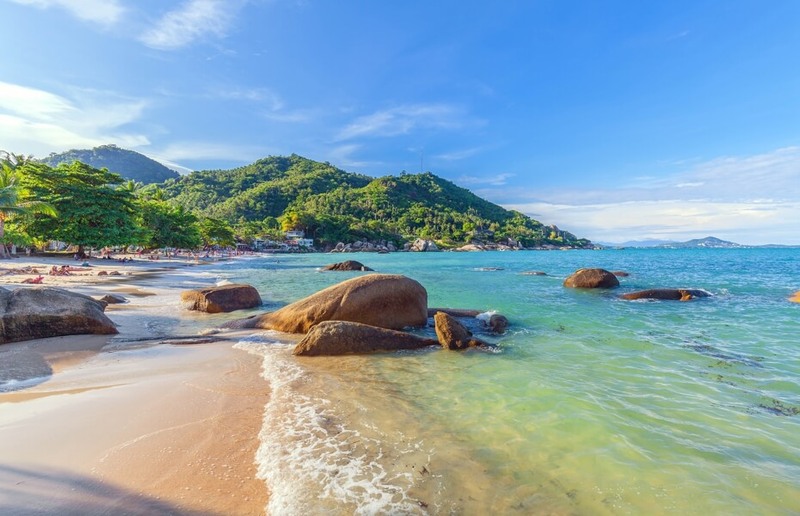 Koh Samui is the biggest of the three islands in the Gulf of Thailand, and one of the most well-travelled areas of this South East Asian hotspot. 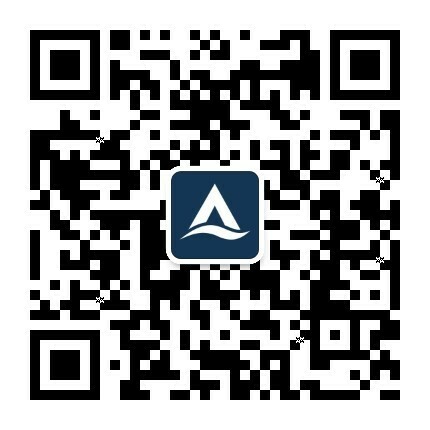 Attracting both budget travelers and the super wealthy – with its vast array of lodgings including the beautiful selection of accommodation offered by Asia Villas – it surprises many that there remain a few hidden secrets that only those in the know ever stumble upon. These hideaways have averted the crowds over the years despite their appeal, preserving a serenity that people long for. They are off the beaten track and take some finding, but you can’t expect perfection if you’re not willing to seek it out. You’ll be sure to find peace on this wonderful island - just explore. Silvadee beach sits on its own little outcrop on the east coast and is known only to those who frequent the luxurious resorts surrounding the bay. With beautiful rock formations and shimmering green waters, you can rest in absolute tranquility, forgetting a world exists beyond these shores. Many choose this spot for their wedding given its private nature and gentle vistas so it’s worth venturing here if you are in need of some R&R. 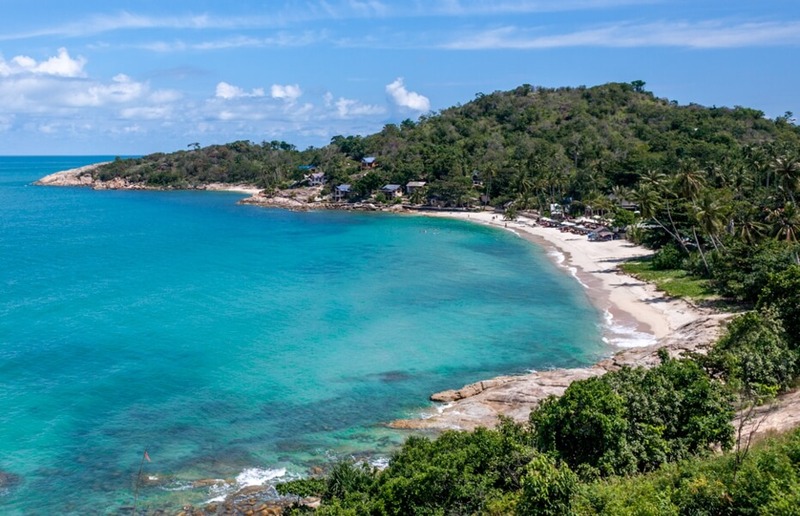 Getting there: A short ride from Chaweng or Lamai, access via local bus or find a motorcycle taxi or - as for most places on the island - renting your own transport is the best way to travel. Just south of Bay View Village on the east coast, this sandy cove is bookended between huge boulders - with an equally rugged backdrop – the delights of which can be seen in the many breathtaking photos of the area. Visitors will feel like they have found their own private beach and sometimes be lucky enough to have it to themselves, despite the amazing snorkeling found just off shore and the relaxed vibe of the bay. There are several businesses in the local area, with great food just off the beach so you can happily spend a day there leaving calm, well-fed and ready for your next stop. Getting there: Just north of Silvadee Beach, this cove is equally accessible from Chaweng or Lamai, and just 20 minutes from the airport. 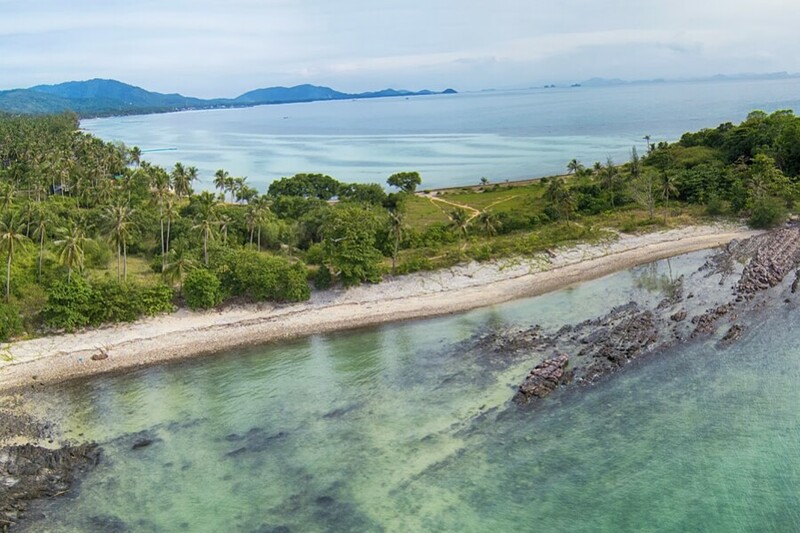 Sitting on the northern point of Koh Samui, these two bays are just a short hop from the hectic Chaweng but still somehow remain peaceful and unspoiled. Those who visit the area tend to look for more activity than these beaches offer, which means paradise awaits the rest of us. The beaches offer long stretches of white sand with several resorts sitting off the back and blue waters stretching out in front so if you’re hoping to recline in the lap of luxury, this is the spot. In the distance is Koh Phangan, giving you a real sense of your location as you idle on these little sanctuaries or peace. Getting there: Found to the north of Bo Put, either hop on a moto-taxi or rent transport for the day. Heading south, we find a tropical haven that will rejuvenate even the weariest of souls. This must be the most remote location on the island and a far cry from the hustle and bustle of the East. Heading down the palm tree-laden hillside, between the health spas and retreats, we stumble upon this shady cove. It is no wonder those looking for spiritual enlightenment often venture to this part of the island so expect a laid-back feel amongst those seeking inner, as well as outer, peace. Getting there: 45 minutes from Koh Samui airport, this is best reached by private transfer or renting your own transport. 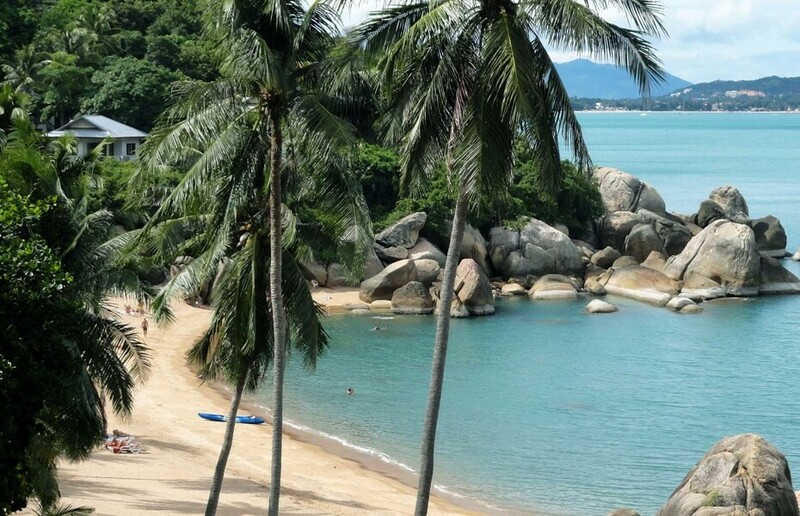 Set beneath the hills just a short ride to the north of Lamai, the 250m stretch of white sand offers ample space for those looking to lie back and take in the sounds of the sea. Known as ‘The Beach of Trees’, this tells you all you need to know about the space. The beach is ideal for sunbathers and snorkelers alike as there is plenty of sand and the seas are as clear as you will find anywhere on the island. There is also ample eating at the local resorts, plus sea kayaks available for rent for only a few hundred baht. Getting there: A few minutes’ drive from Lamai, either rent a scooter or perhaps walk, if you happen to be in the nearby area. 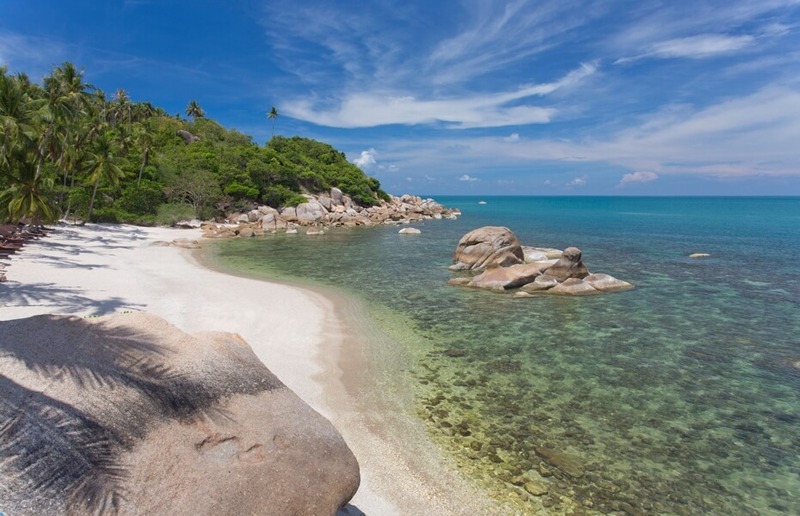 Get away from it all in the north west of Koh Samui and visit this huge stretch of sandy coastline, exploring the oceans by sea kayak or resting in the shade of one of the many palms. There are a few high-end eating options to the back of the beach and with the abundance of seafood on their door step, it is no surprise that you can find various catches of the day across the menus. The westerly aspect makes this a great spot for watching the sun go down and with the eating options available, why not extend the day into the night. Getting there: Jump in a taxi from Chaweng for THB 600, or hire a scooter or 4 x 4 but beware, this can be tricky to find as maps don’t show the exact location of this beach. Island paradise at its best. Removed from the noise and hidden on the northern shore, the water is clear, the sand is a fine, white powder and the area reminds us of what island-life must have been like years ago. This is one of the longest beaches on the island so you are guaranteed to find your own private spot along the 6 km stretch. It is clean, uncrowded and perhaps the sleepiest spot on the island. A far cry from the speedboats and jet skis of Chaweng or Lamai. Getting there: Rent a car or scooter and meander your way along the quieter roads of the northern island, finding your own hideaway along the stretch of beach. 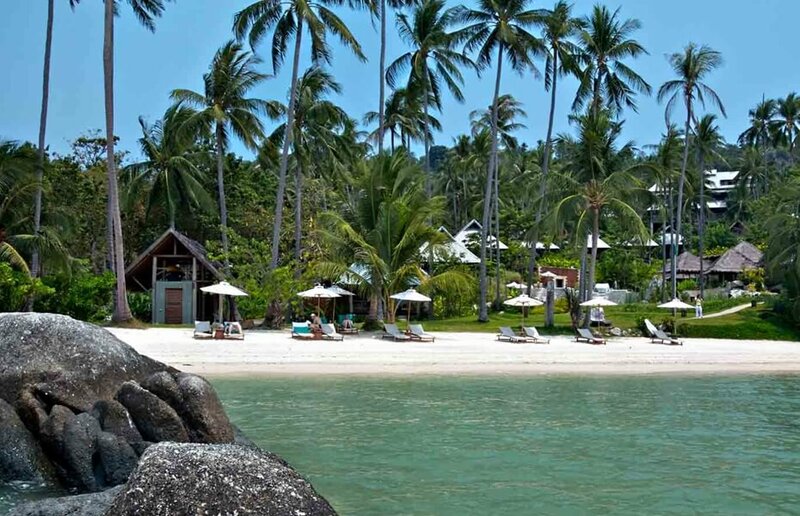 It’s true, Koh Samui has been overrun in parts by holidaymakers looking for their version of island paradise. But step beyond the cliché and you will find your dream destination. Asia Villas offer some of the most idyllic accommodation on the island and – if you follow the above advice – you are only a step away from your stretch of island paradise. With scooters on our doorsteps and an island surrounded by a breathtaking coastline, your hidden beach is only a short ride away.